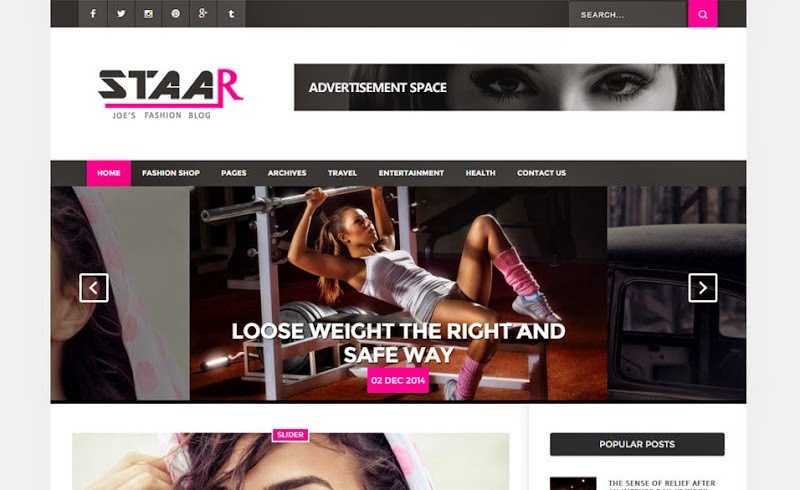 Staar is specially crafted for the fashion bloggers with complete responsiveness. It's perfect blend of modern design and the minimal design which brings out the best from your blog's content. You are the complete master of this blogger template, with the user friendly framework on which we have created this blogger template.